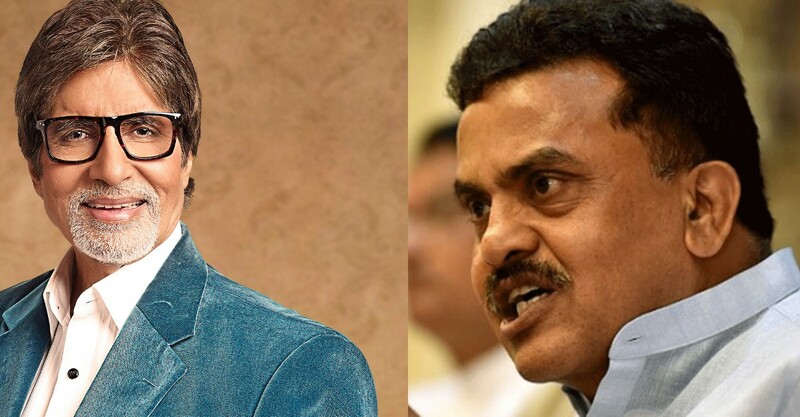 Congress Leader Sanjay Nirupam was Not Allowed to Meet Big B for Support! Earlier there were reports of calling off the shoot for a special episode on the promotion of Kaun Banega Crorepati with Amitabh Bachchan and Kapil Sharma due to ongoing FWICE strike. And now if sources to be believed, Congress leader Sanjay Nirupam who is also the supporter of the strike was being held up and was taken to Versova Police Station so that he couldn’t meet the Bollywood super star, Amitabh Bachchan. In conversation with the leading daily, Sanjay stated, "Early this morning, police came to my home and prevented me from going out. Later in the afternoon, I was taken to Versova Police Station and made to sit there till 6.30 p.m. before they allowed me to leave,"
Amitabh's Bungalow Jalsa was surrounded with hundred policemen on security to prevent any problematic incident arising out of the workers strike. The workers and representatives of Federation of Western India Cine Employees (FWICE) decided to meet Amitabh Bachchan and request him to support them as they both were working with each other for quite a long period. However, if rumours are to be believed, few members of Bharatiya Janata Party are trying to threaten the cine workers and are attempting to disrupt the strike and moreover, despite their (staff of FWICE) request, Amitabh continues with his shooting with many police guards alert on his security for his upcoming season of KBC franchise. The FWICE started their indefinite strike on August 15 and want to increase their pay and are demanding eight-hour shifts, better work environment, job security and health insurance among other things.